Looking for some nice weather for the 3rd New Jersey vBeers meetup. Last time we had some great conversations on VMware and Storage. Would be great to have some Citrix, Networking and other admins join us for some best of bred conversations. 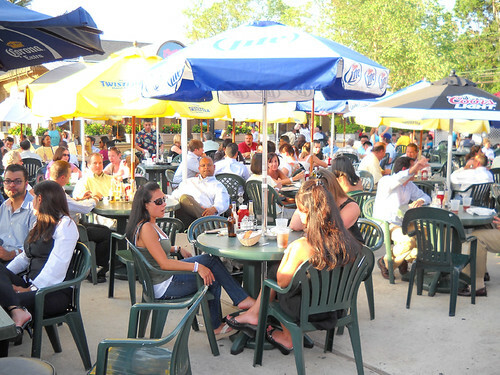 Just relax with your fellow virtualization peers at The Green Knoll Grille in Bridgewater, NJ. Hopefully the weather will stay this great and we can be outside. This location is 30 minutes south of the last meetup, and easy off 287, 78 and 22; so Central and Northern NJ stop on in. Come anytime, start a conversation, and stay as long as you like. Sounds good to me. I’ve been out of the loop for 18 months. Would be nice to catch up on what’s new in the industry and chat with some former and perhaps even some current PHD’ers.